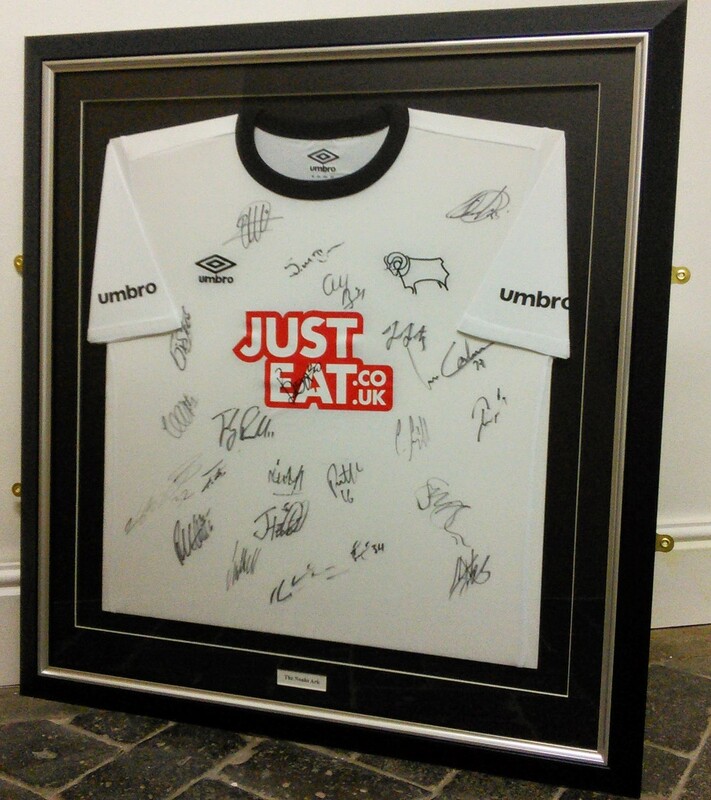 Framed football shirt - to keep the shirt flat and taught we handcut card which is shaped to fit inside. 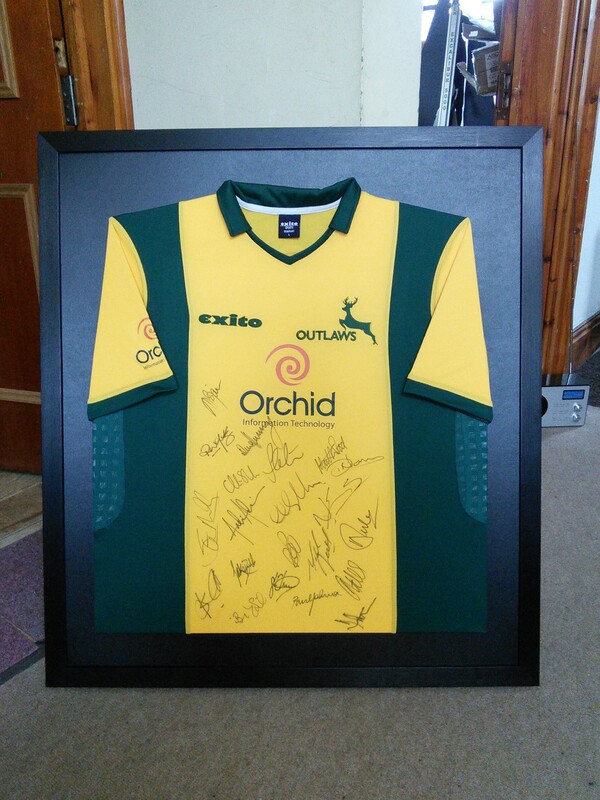 The cost of minimum cost of framing a football shirt is around £80 depending on the chosen frame, overall size & glass choice. ART GLASS is very popular at the moment as it not only shows off your shirts colours but also gives UV protection to stop fading. Typesetting or Photographs can also be added. 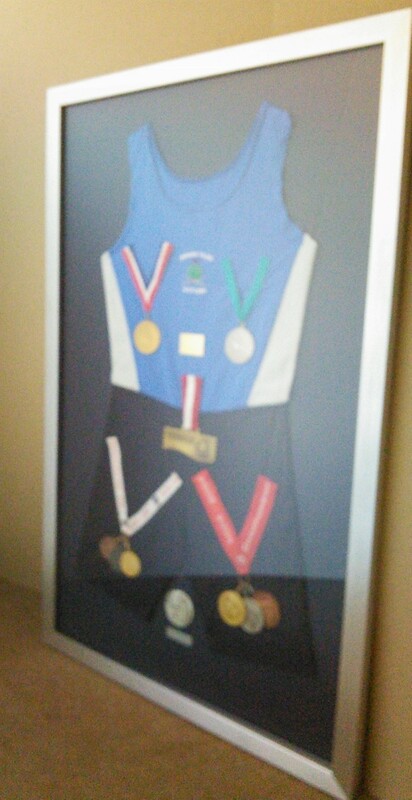 The framing of the Rowing Shirt & Shorts presented the extra challenge of how to arrange all the items & also how to fix the medals onto the material in order to stay in place. Apologies for the poor quality of the photograph its difficult to photograph large items without Non Reflective Glass.